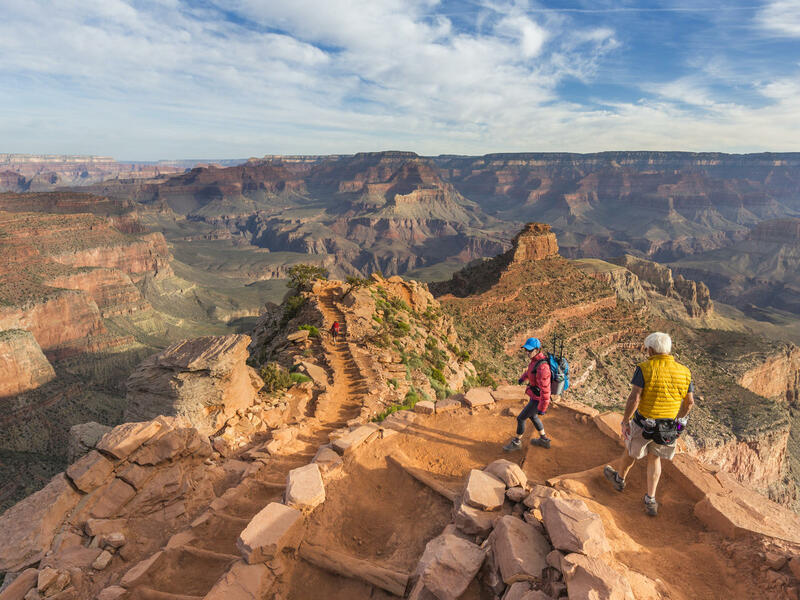 Best Destinations for Spring Hiking In The U.S.
As spring comes, the sunshine is warm, flowers are blossoming, and nature is jumping back to life. Unlike the cold winter, it is super comfortable for you to hike in the spring. So take out your hiking boots, head into the wilderness and enjoy the natural beauty in the spring. Here we offer a list of 6 best spring hikes in the U.S. The views on Maroon Lake scenic trail are touted as the most photographed place in Colorado, especially the beautiful view of Colorado’s famous Maroon Bells. The Maroon Bells reflect off of Maroon Lake and the snow-striped mountains, which anchor a blissful panorama for visitors. Hiking trails here provide access to plenty of photo-worthy scenes. If you are planning to hike in this area, be sure to carry essential hiking gear like proper shoes and water bottle. And you can choose the different hiking routes to enjoy the blossoming wildflowers in the late spring. Located in the west Maui mountains, the 5-mile hike is known as one of the most scenic treks on Maui. Especially in the spring, the bright sunshine brings hikers a super comfortable and priceless experience. Around the way of hiking, you may be rewarded with different natural views like the water cascading off Makamakaole Falls, the amazing view of the valley and maybe a sea of clouds. This trail is really a reputation that is much deserved. As one of Zion National Park’s most famous hikes, Angels Landing is an unforgettable short adventure hike worthy of all bucket lists. It provides hikers the most idyllic outlook of the majestic Zion Canyon. With the arrival of spring, hikers can enjoy the beautiful spring at Zion freely for its temperate climate and sparse greenery. And this heavenward trail may be mentally challenging with its steep switchbacks and sheer drop-offs. But the amazing 270 million-year-old rock layers are really worthy to see. Grand Canyon National Park, one of the rugged and iconic places in the U.S., provides hikers an astonishing and excellent experience. In this park, you will see its amazing layered bands of red rock revealing millions of years of geological history. If you go hiking in the early spring, you can plan to the south rim for the north rim will open until May. And the remote, arduous Thunder River Trail may well be the Grand Canyon’s most astonishing backpacking trip for your hiking. It is worthy to see the magnificent view of Yosemite Falls when you hike to the top of Upper Yosemite Falls. Yosemite Falls is divided into three sections, the upper, middle cascade, and lower falls. During the hike, you are close enough to feel the spray and hear the waterfall thundering down the mountain. Once at the top, watch as the falls plummet down the side of the mountain and get a greater sense of just how far you hiked. It will be better to prepare for a full-day, strenuous hike there and you will be rewarded with the amazing views in all of Yosemite Park.